The track fended off competition from God’s Plan by Drake and Shape Of You by Ed Sheeran for the accolade, which is handed out by the International Federation of the Phonographic Industry (IFPI). The organisation represents the recorded music industry around the world. 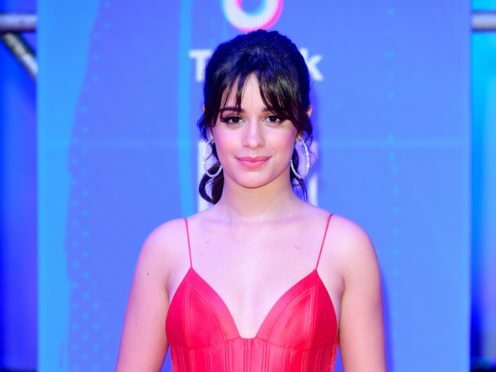 Havana, which features rapper Young Thug, was 22-year-old Cuban-American singer Cabello’s lead single from her debut solo album, her first since leaving girl group Fifth Harmony. The song, released in 2017, and the subsequent remix version with Spanish lyrics by Daddy Yankee topped the chart in 95 countries and, in June 2018, it became Spotify’s most-streamed song ever by a solo female artist, with 888 million streams. IFPI said the track, which draws on Cabello’s Cuban heritage, has now been streamed a total of 2.6 billion times worldwide. Frances Moore, chief executive of IFPI, said: “Havana truly was the stand-out hit of the year. Momentum behind the track continued to build and build at an extraordinary rate as it consistently topped charts and leading playlists. Havana has a global total converted track equivalent of 19 million sales, the IFPI said. Drake’s God’s Plan was second place on the list, with 15.3 million total converted sales, ahead of Sheeran’s Shape Of You in third place, with 14.9 million converted sales. Sheeran’s Perfect was in fourth place while Maroon 5’s Girls Like You featuring Cardi B was fifth. The IFPI best-selling single announcement comes after they named Canadian singer Drake as the global best-selling recording artist of 2018.